Active whole class learning is supported by vibrant posters and interactive activities on the DVD-ROM. Thorough grammar and skills work is applied in natural contexts in the real world, through dialogues and cross-curricular material. 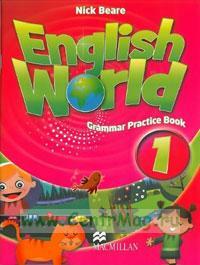 English World provides a complete package for today’s teachers and pupils.